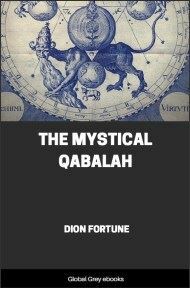 This 1910 primer to the Kabalah, the arcane Jewish mysticism, remains an exciting introduction to the philosophy, explaining its provocative speculation on our role in the grand, divine design of the universe and offering tantalizing hints of the tradition's cryptic devotional and magical practices. 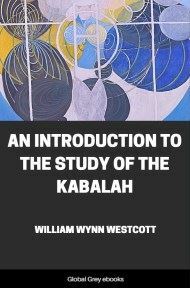 It must be confessed that the origin of the Kabalah is lost in the mists of antiquity; no one can demonstrate who was its author, or who were its earliest teachers. Considerable evidence may be adduced to show that its roots pass back to the Hebrew Rabbis who flourished at the time of the Second Temple about the year 515 B.C. Of its existence before that time I know of no proofs. 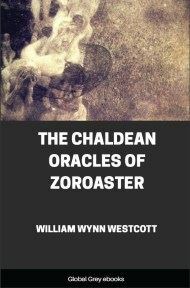 It has been suggested that the captivity of the Jews in Babylon led to the formation of this philosophy by the effect of Chaldean lore and dogma acting on Jewish tradition. No doubt in the earliest stages of its existence the teaching was entirely oral, hence the name QBLH from QBL to receive, and it became varied by the minds through which it filtered in its course; there is no proof that any part of it was written for centuries after. It has been kept curiously distinct both from the Exoteric Pentateuchal Mosaic books, and from the ever-growing Commentaries upon them, the Mishna and Gemara, which form the Talmud. This seems to have grown up in Hebrew theology without combining with the recondite doctrines of the Kabalah. In a similar manner we see in India that the Upanishads, an Esoteric series of treatises, grew up alongside the Brahmanas and the Puranas, which are Exoteric instructions designed for the use of the masses of the people. With regard to the oldest Kabalistic books still extant, a controversy has raged among modern critics, who deny the asserted era of each work, and try to show that the assumed author is the only person who could not have written each one in question. But these critics show the utmost divergence of opinion the moment it becomes necessary to fix on a date or an author; so much more easy is destructive criticism than the acquirement of real knowledge. 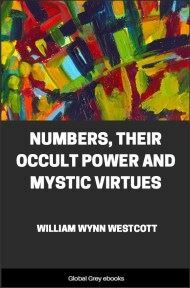 Let us make a short note of the chief of the old Kabalistic treatises. The "Sepher Yetzirah" or "Book of Formation" is the oldest treatise; it is attributed by legend to Abraham the Patriarch: several editions of an English translation by myself have been published. This work explains a most curious philosophical scheme of Creation, drawing a parallel between the origin of the world, the sun, the planets, the elements, seasons, man and the twenty-two letters of the Hebrew alphabet; dividing them into a Triad, a Heptad and a Dodecad; three mother letters A, M, and Sh are referred to primeval Air, Water and Fire; seven double letters are referred to the planets and the sevenfold division of time, etc. : and the twelve simple letters are referred to the months, zodiacal signs and human organs. Modern criticism tends to the conclusion that the existing ancient versions were compiled about A.D. 200. The "Sepher Yetzirah" is mentioned in the Talmuds, both of Jerusalem and of Babylon; it was written in the Neo-Hebraic language, like the Mishna. The "Zohar" or" Sohar" spelled in Hebrew ZHR or ZUHR "The Book of Splendour" or of "Light," is a collection of many separate treatises on the Deity, Angels, Souls and Cosmogony. Its authorship is ascribed to Rabbi Simon ben Jochai, who lived A.D. 160; he was persecuted and driven to live in a cave by Lucius Aurelius Verus, co-regent with the Emperor Marcus Aurelius Antoninus. Some considerable portion of the work may have been arranged by him from the oral traditions of his time: but other parts have certainly been added by other hands at intervals up to the time when it was first published as a whole by Rabbi Moses de Leon, of Guadalajara in Spain, circa 1290. From that time its history is known; printed Editions have been issued in Mantua, 1558, Cremona, 1560, and Lublin, 1623; these are the three famous Codices of "The Zohar" in the Hebrew language. For those who do not read Hebrew the only practical means of studying the Zohar are the partial translation into Latin of Baron Knorr von Rosenroth, published in 1684 under the title of "Kabbala Denudata"; and the English edition of three treatises,--"Siphra Dtzenioutha" or "Book of Concealed Mystery"; "Ha Idra Rabba," "Greater Assembly"; and "Ha Idra Suta," " Lesser Assembly," translated by S. L. MacGregor Mathers. These three books give a fair idea of the tone, style and material of the Zohar but they only include a partial view: other tracts in the Zohar are :--Hikaloth--The Palaces, Sithre Torah--Mysteries of the Law, Midrash ha Neelam--The secret commentary, Raja Mehemna—The faithful shepherd, Saba Demishpatim,--The discourse of the Aged--the prophet Elias, and Januka-- The Young man; with Notes called Tosephta and Mathanithan. In course of publication there is now a French translation of the complete Zohar, by Jean de Pauly: this is a most scholarly work.